First prototype of OptoPos touch detection frame. OptoPos is a touch detection frame that consists of arrays of infra-red LEDs and photodiodes, together with circuits that compensate for ambient light and a microcontroller that scans the entire area. 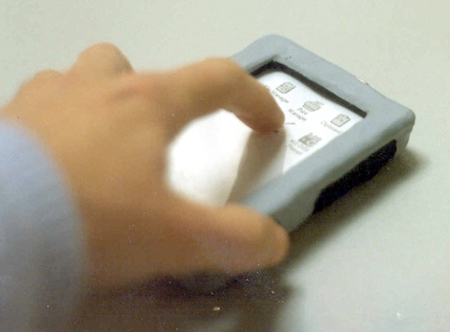 It could also detect multi-touch, which was quite unique for touch technology in 1986. We made the system modular with 16 pairs of LED/photodiodes per module. The maximum size for an OptoPos frame was 5 meters. Together with one particular client, KNM Trafiksystem AB in Sweden, we developed STINS for public transport information systems. 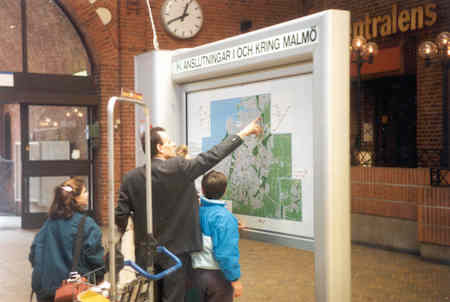 The STINS systems were deployed at all major train stations in Sweden in 1989. 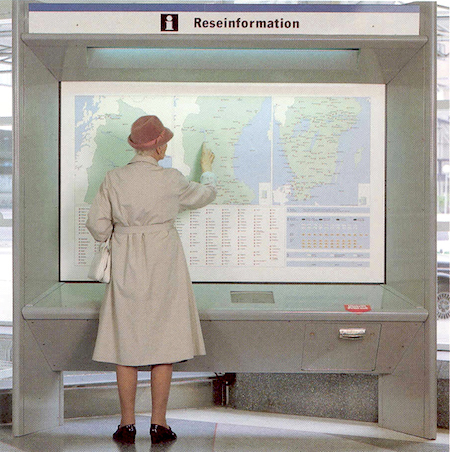 Together with another client, X communications in Dublin, a kiosk version of OptoPos was developed and deployed in London Underground in 1993. Together with three European partners in an EU project, a General Purpose Portable Communicator was researched and developed. The intended user group was speech disabled people. 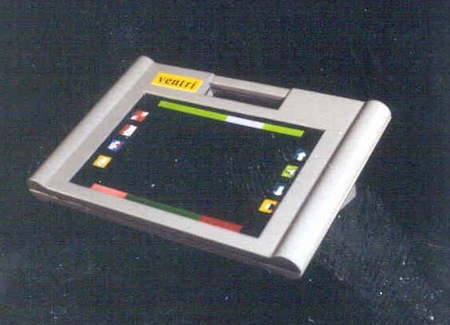 The touch screen technology and systems architecture was based on the OptoPos platform. 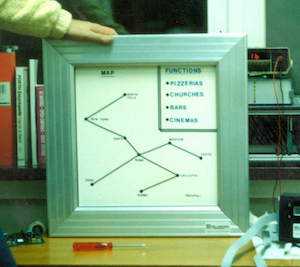 In 1994, I made one prototype of a desktop/mouse replacement device, as a general design exploration of the OptoPos technology.